"I feel normal," says Alecia Crider, here visiting at her mom Tammy's apartment, "but not like real normal." For Tammy Crider, the moments that told her something was wrong were dramatic. Toys all over the floor in the middle of the night, violent outbursts, school suspensions. By the time her daughter Alecia was 15, Tammy made the decision to move her into a group home, calling it "the hardest thing I ever did." Now, in a nation dealing with a long overburdened mental health care system, the signs that something is wrong may also be becoming clear. A quarter of the U.S. population — nearly 80 million people — has a diagnosable mental illness, including conditions like depression and attention-deficit disorder, and about 6 percent live with a serious mental illness, like schizophrenia or bipolar disorder, according to the National Institute of Mental Health (NAMI). The rates among the homeless and those in jail are even higher. Estimates vary, but spending on mental health care totals at least $113 billion a year in the United States, or about 6 percent of national health care spending. Many like Alecia, diagnosed with bipolar disorder, ADHD and general anxiety, lead happy and healthy lives with the help of counseling and medication. But nationwide, only about half of those with mental illness get the treatment they need. In the worst years of the recession starting in 2008, states across the country, including Washington and Idaho, sliced a total of $1.6 billion from mental health funding. Idaho and Washington each cut mental health funding by about 11 percent. Locally, some decision-makers are working to begin to address shortcomings in the ways the community responds to mental health issues. A recently released report from the Spokane Regional Criminal Justice Commission called for an evaluation of the Mental Health Court, a specialty court run by Municipal and District Courts. The report also called for an expansion of the Spokane Police Department's training to respond to mentally ill offenders. Priority Spokane, a group of local organizations including the city, county and nonprofit groups, has named mental health care the next biggest challenge facing the region. Providence's Sacred Heart Medical Center recently added seven emergency room beds in an observation unit specifically for those with mental illness. The rooms are designed to be safer: sharp tools are out of reach and there are fewer stimuli, helping patients stay calm. The beds are nearly always full. "There is not a family in the entire country that doesn't know or live next door to or work with someone [who has experienced mental illness]. It's time for us to start stepping up and owning this," says Sandi Ando, public policy chair for the National Alliance on Mental lllness' Washington state chapter. "These are not those sick people. These people are us." As Tammy struggled to find care for Alecia, she sought help from Passages Family Support, a local agency that pairs people who have a mental illness or who have children with mental illness with other people or parents. Passages is part of a growing peer-support movement that's hoping to give people friendly access to care and to fill in some of the gaps in the larger mental health care system. Generally speaking, most people with mental illness receive outpatient care, like counseling or prescription drugs. Those with more severe or long-term needs may seek care at community facilities like those run by Frontier Behavior Health in Spokane or at state psychiatric hospitals like Eastern State Hospital in Medical Lake. But without access to care, some in crisis end up in hospital emergency rooms, where beds are limited. Complicating matters are rapid changes in insurance and Medicare and Medicaid coverage. Today's community-based system has not always been the model. America's early history is littered with stories of dank asylums and questionable treatments: lobotomies, malaria injections and insulin-induced comas. Between 1955 and 1980, during a movement known as "deinstitutionalization," the population in mental institutions across the country fell from 559,000 to 154,000. Drugs were developed to treat symptoms, making it feasible for more people with mental illness to live in their communities. Slowly, states began moving people out of their institutions and into nursing homes and other facilities, but it wasn't until 1993 that they were actually spending more on community services than on state-run institutions. Patient advocacy groups like NAMI say the system is still catching up. In Washington and Idaho, some have pushed for change. A 2009 lawsuit alleged that the state of Washington was failing its youngest and most vulnerable citizens: children with mental illness. That prompted plans for a significant overhaul of mental health care for young people in Washington. A bill passed last year in Olympia mandated that the Legislature create a task force to study possible reforms of the adult system. A report to the governor is due by the end of this year. In Idaho, the governor has proposed funding for new "behavioral health crisis centers" across the state. In her four years away from home, Alecia's feelings about the staffed facility where she lives, and about her mom's decision to send her there, have softened. She visits Tammy each weekend. They go shopping and watch movies together. "It's nice for me, but it's not here," says the 19-year-old sitting on Tammy's couch. She's made significant progress since the move, though, and hopes to graduate from high school in another year or two and eventually move out on her own or with her boyfriend. "I feel normal," she says. "I think of myself picturing normal, but not like real normal." Tammy has worked to give Alecia that feeling of normalcy, but it's never been easy. For many with mental illness, stigma is still a significant challenge. Along with widespread misunderstandings about mental illness, media coverage of high-profile incidents like school and workplace shootings can blur the lines between violence and mental illness, leading the public to conclude that most people with mental illness are somehow dangerous. In fact, statistics tell another story. The increased likelihood of violent behavior among those with mental illness, if it exists, is small. More significant may be that people with mental illness are about 11 times more likely to be the victims of violent crime than the general population. Ironically, as stigmas begin to fade and more people seek and receive treatment, the already stressed system currently in place to care for them will be increasingly stretched. Dr. Saj Ravasia, the medical director of Sacred Heart's psychiatric department, says more people, with more serious illnesses, are seeking care. Often, Ravasia says, those without insurance or financial help are waiting longer to seek help, meaning their conditions are more severe once they arrive at the hospital, increasing the strain on hospital resources. He and his colleagues are also seeing more patients in need of both mental health and substance abuse treatment, complicating their care. And there's a shortage of care providers, including psychiatrists. ("The Provider Shortage," page 16.) Some 95 million people nationwide, including those in Kootenai County and parts of Spokane, are living in federally designated "provider shortage areas." The wide array of challenges means the solutions must come from all corners, Ravasia says, but change will have to start with two things: more government dollars and a shift in thinking. Help Wanted: Eastern State Hospital has five unfilled positions for psychiatrists. Talk of funding cuts and bed shortages is common surrounding mental health care, but there's another challenge looming. "I can open more beds, but if I don't have more psychiatrists, what's the use?" says Kamal Floura, medical director at Eastern State Hospital, where he counts five unfilled vacancies for psychiatrists. Nationwide, about 30 percent of people — including some in Kootenai and Spokane counties — live in areas with too few mental health care providers. The shortage is especially dramatic among psychiatrists, who can prescribe and manage the medications given credit for allowing many with mental illness to live in the community instead of in hospitals. As a profession, psychiatrists are aging and too few are ready to replace them as the number of medical students specializing in psychiatry dwindles. Area psychiatrists say the profession suffers from some stigma and the fact that, compared to other specialities, it's among the lowest paid. Offering multiple levels of medical education is one way to attract psychiatrists, says psychiatrist and Washington State University professor Matt Layton. Doctors are likely to stay in the place where they completed their residency, the practical training done after medical school. Currently, the count of psychiatry residency slots in the Inland Northwest is dismal: Less than one psychiatry residency slot is available for every 100,000 people, compared to a national average of 23 slots per 100,000. Spokane's slots have generally been filled by University of Washington medical students specializing in psychiatry, but during the recession even those few spots were closed due to budget cuts. Now Layton and others are working to bring back the psychiatric residency program. If accredited this spring, the program will accept its first psychiatric residents next year. Not only will they make likely candidates for Spokane jobs once they're finished, they'll be available to offer advice about the field to students at the growing Riverpoint campus east of downtown. "You need that whole pipeline," Layton says, "undergraduate through residency." A corrections officer stands at the end of the "suicide watch" cell corridor at the Spokane County Jail. Emily Cooper, an attorney with the nonprofit Disability Rights Washington, says she knows of one case in which a defendant has spent 111 days in jail, without trial or conviction, awaiting a mental health competency evaluation. 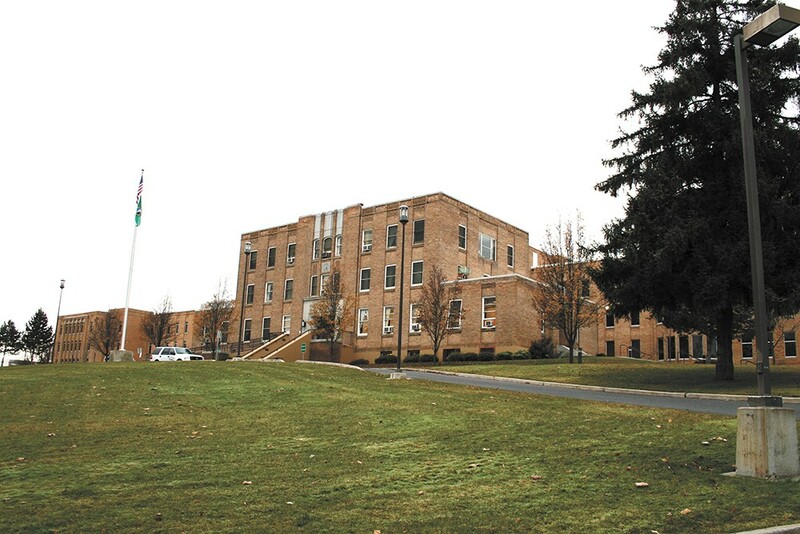 A state psychiatric hospital simply has been unable to schedule a visit from a licensed evaluator. "You just have an overly burdened system," Cooper says. "The time people with disabilities spend in jail awaiting treatment is still growing." In 2012, Washington lawmakers tightened evaluation deadlines to try to reduce the ever-growing backlog of stalled trials and stranded inmates awaiting evaluations. Those rules required defendants in jail to be evaluated within seven days. Almost two years later, a new audit shows wait times for local jail inmates seeking evaluations through Eastern State Hospital still average 33 days. DSHS officials have cited a shortage of local evaluators and space limitations on admission wards as significant challenges. They also blame some delays on external complications such as surges in referrals, attorney schedule conflicts and jail facility limitations. 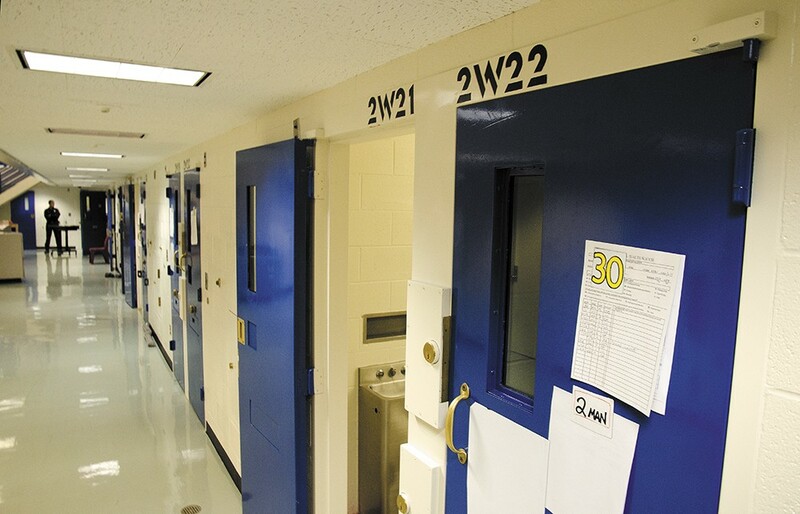 Independent financial reports have shown that delaying the evaluations costs county jails millions of dollars each year. Jail officials report inmates with mental health issues often cost double that of other inmates after counseling and psychotropic medication expenses. Much more important than any dollar value, Cooper says, are the "human costs" of locking people in jails with unreasonable wait times for treatment. People with mental health issues may be victimized by other inmates or their conditions may deteriorate. The seven-day deadline was established for a reason, Cooper says. A 2003 Ninth Circuit decision found delays in treatment violated due process rights. "The [state psychiatric] hospitals at this point are running a very big risk," she says. "They're asking for a potential lawsuit." Faster evaluations also could potentially save lives, Cooper says, like that of 25-year-old Amanda Cook, who killed herself in December after spending weeks in the Spokane County Jail awaiting a delayed competency evaluation. Last summer, Joel Reuter, a 28-year-old software engineer living in Seattle, was shot and killed in a standoff with local police. He was ranting and waving a handgun from the balcony of his Capitol Hill condo. After hours of negotiations with police, Reuter fired a shot. He was killed by a sniper's bullet. He thought he was defending himself against zombies. Reuter had bipolar disorder; for some time, he had been manic and spiraling out of control. But he didn't meet the criteria for involuntary commitment under Washington state law until months later, in May. By then, his parents say, it was "too little, too late." Reuter's parents moved to Olympia about six months ago to lobby for House Bill 2725 to revise the state's Involuntary Treatment Act by allowing family members to appeal to the court if a mental health official denies a loved one emergency hospitalization. The bill failed to get a full Senate vote. Reuter's death constitutes what the pro-commitment Treatment Advocacy Center calls "preventable tragedies" — incidents of violence involving people with mental illness that could have been avoided had they received timely treatment. Under Washington's Involuntary Treatment Act, only a "designated mental health professional" working for the county can petition the court to have individuals civilly committed if, as a result of mental illness, they are "gravely disabled" or an "imminent" danger to themselves or others. Those who meet the state's criteria can be hospitalized at a psychiatric facility for up to 72 hours. Washington is one of a few states that doesn't allow citizens to directly petition the court for inpatient commitments. Experts say that, even without HB 2725, Washington likely will see a rise in civil commitments this summer. In 2010, lawmakers approved several revisions to the involuntary treatment guidelines allowing DMHPs to consider historical behavior and patterns of deterioration when evaluating people for forced detentions. The implementation of the changes was postponed until July 2014 due to funding constraints. The Washington chapter of the National Alliance on Mental Illness has for years advocated expanding the state's civil commitment criteria by removing the "imminent" requirement. "We need to get people treatment before they're at the edge of the cliff," says Sandi Ando, the chapter's policy chair.